A show with its title screaming “nostalgia” or “relatable” for gamers alike. It goes without saying; this show is not everyone’s cup of tea! Romantic comedy and urgh, a light novel adaptation! Before it even aired, the tags romance and comedy were present at the time. I would love to spell it out for you that combined, it says ROM-COM. That’s right. Gamers! 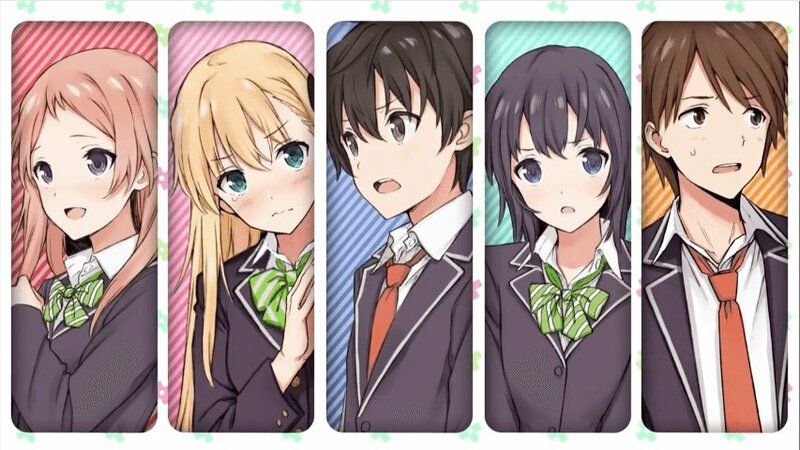 is your standard light novel adaptation of a rom-com story which is generally looked down by every but Asian, especially Japanese anime community. If you happen to be one of those people who are more than willing to give anything a chance and look beyond the simple logic of what elitists considered ‘good’, congratulations. You are part of the helpful reason as to why rom-com genre will keep on flourishing, eventually becoming a huge wake up call to anime watchers around the world that anime is not only made up of fights hype and flashy action sequences. Gamers! is Okamoto Manabu‘s very first time directing a full season show, ever. He has only been doing episode directing for various shows before that. As a production, Gamers! gets a big thumps up from me. The sheer level of talent poured into this anime by Manabu-san has me stop singing praises for another light novel adaptation which is also extremely well made, Saekano Flat. With the traditional anime cour and weekly airing schedule on top of each episode being allotted twenty-five minutes at most, there exist a clear limitation as to how much of a light novel’s volume can go into each episode. This always result in plot and/or story alteration in the forms of either addition or deletion. A prime example of plot addition is via character introduction scene with narration/dialogues, whereas deletion is as it looks; certain events that would otherwise happen in the light novel do not in anime or get only a tiny bit of air time. Again, there was already one great example that I’d mentioned for Saekano Flat. This scene was extremely, highly anticipated by the fans of Saekano light novels. This was meant to be a full on, dramatic resolution between the two best friends Megumi and Eriri. The anime however only shows 12 seconds of soundless animation. This is plot shortening, almost a full deletion. What Gamers! has done very well in its first episode alone is introducing nearly all of its main characters in a manner that leaves very strong impression. After the first episode I had impressions that Keita was a protagonist who would not go by the name of beta-cuck, Karen was that beautiful female heroine who went absolutely against all of my expectations. Tasuku and Aguri were practically living a gamer’s relationship dream, you know… having a girlfriend/boyfriend while still being able to have social life outside of games. This is where spoilers provided by the anime itself help make anticipation even more welcoming. Right from the first episode I was already given hints that Tasuku’s relationship with Aguri would be stirred by Keita sooner or later. A great light novel adaptation will have its story altered so much that it will make you want to read the source material in order to catch the differences. Oh and for Gamers!, there are. First three introductory episodes adapted each of the three chapters from the first volume while the so-called ‘filler’ episode 4 adapted the first volume’s extra story. I appreciated it very much! And FYI episode 4 is not in any way a filler. The light novel’s prologue is pretty much entirely Keita talking about himself and his character. So instead of having the first episode entirely dedicated to introducing Keita’s sad as hell of a character, the material gets shredded and spread evenly into the three episodes. This allows us watchers to slowly learn more and more about him in the anime as opposed to getting a massive information dump. Something Mahouka could actually learn NOT to do. The one undeniable truth about light novel adaptations is that character designs will always receive change. Light novel art style tend to actually end up being inconsistent. The main reason as to why light novel character designs tend to change when transitioned into anime is because they need to represent the characters. In the case of Gamers!, everyone but Tendou Karen gets heavily overhauled to reflect their personality. My biggest props would have to go to Tasuku, who in the light novel looks more generic and even more beta than Keita, gets rehashed into an absolutely cool looking dude who clearly has the looks superior to the protagonist. No homo. Other reasons may include blends into the background art or being strictly moe (cough* KyoAni). Speaking of Kyoto Animation, let’s take a look at what they do very well. 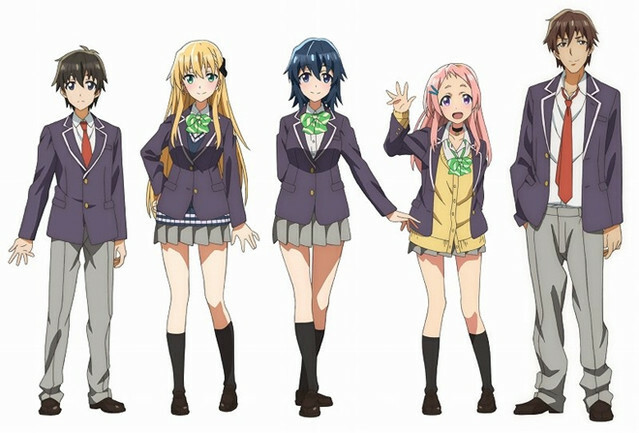 KyoAni’s Hibike! Euphonium takes full advantage of grounded camera techniques, blurring and shadowing. Saekano Flat in comparison does not know what any of those three are; its overall art is insanely bright and sharp! Moving onto the character art blending into the background art. I have tried to obtain two examples of similar scene where the main characters take public commuter service, around the same time of the day at that! Again, Saekano Flat has this insane sharpness emphasis in the characters. It got to the point that sometimes they feel off no matter how detailed the surrounding/background is. Gamers! on the other hand did not blow the budget and managed to do exactly as required. The show is known for its colorful palette but it still is able to draw the line. This is not to say that Saekano Flat has bad art, but rather to emphasize on the fact that Gamers! knows where it belongs in the art department. And the change in character design was done purposefully to make them look believable, ultimately resulting in the show being even more lively than the source it adapts from. Gamers! centers around a group of high schoolers that happen to play games. What this series does right before the anime has even been given the green light, is inserting itself into a tiny gap in anime genres. I have seen a lot of negative ‘reviews’ about this show and most of the complaints were to do with how Gamers! steer away from gaming culture. This is where I will not be nice and ask you to stop reading this post right here if you cannot face the truth. What is this ‘gaming culture’ you speak of? 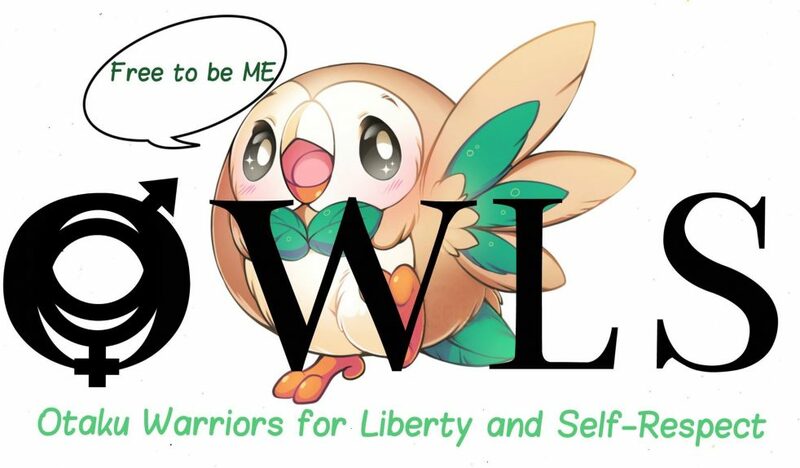 Do you mean that you actually want an anime about Toxic Seagull and Moe Kaceytron? Keita is a casual mobile game scrub! This further validates his philosophies as in real life, these things are surprisingly popular in Asian countries. Did you know that at least a quarter of the people who frequent Akihabara do not actually watch anime? I casually play Final Fantasy Exvius myself. It’s extremely similar style of online social adventure game Keita plays. Gamers! doesn’t stop there. It goes on to give shout outs to 80’s and 90’s kids as pretty much all of the games referenced are of everything from NES, consoles, arcades, visual novels, PSVita ported games, FPS, mobile games to even BOARD GAMES! You will know that you truly lack great gaming experience if you can’t even pick up half of the references in this anime, let alone in its opening sequence. I’m not even going to lie. MMORPG theme has been done to death in anime, whether they are of Isekai genre or not. And I am frankly tired of it too because what mainly happens is we have a protagonist who will either be the best–uncontested or somewhere in the high-profile category. The protagonist finds absolutely no trouble in his journey on his own; he struggles for others, and others only. They just mostly happen to be girls. Ringing any bells? I’m looking at you, Sword Art Online. Quan Zhi Gao Shou comes pretty close in respect, I will however give credits for having a better than average protagonist. Then there is Btooom!, while not MMORPG, still harbors the same protagonist trick. Finally appears an anime that takes advantage of the genre gap, I hope that Gamers! continues to neglect most of MOBA and MMORPG while giving me the nostalgia I carve for. It is as if this series is written by a person who has been gaming from 80’s to mid 2000’s, counting the FPS PUBG as an outlier. It is no secret that I am a more than casual World of Warcraft player. In the game there are hardly anyone I know who actually watch a similar type of anime that I do (it’s over in About Me page, yo). Yes, it does get quiet in the chat despite everyone knowing that we all watch anime. It is that clear difference in taste that prevents me from going spasm whenever anime is brought up as a topic in the guild chat. I also have made a point about how rom-com genre anime is probably the least popular outside of Japan. So what is popular among the gamers in (European) community of World of Warcraft? Battle Shounen and Supernatural Seinen. Oh how unsurprising! Stuff like Naruto, Tokyo Ghoul, Bleach, One Piece and Dragonball Z. You name it. How do you think these people reacted when I mentioned rom-com’s like Saekano? Or even Sakurasou? Gamers! is a rom-com anime that does the intentional of neglecting the one genre where majority of its playerbase is barely able to recognize a thing or two about romantic comedy anime. This is legitimately pulling the middle finger and I like it very much. Those are just some of what Gamers! have in interaction with real games. The story focuses on what’s actually more relevant to a bunch of high schoolers, their quest to finding a place they belong. This is very obvious but romance is one of a few aspects no single adults would deny that they’d want perfected back in their teenage days. So here is a story about a bunch of teenagers that play games; they are just human. They fall in love, fall out of love. They endlessly doubt their judgments and actions, fearing that the worst is always to come. I’m aware that Gamers! runs a theme of misunderstandings for its comedy part. You also have to realize that there is also a logic to comedy, and if the show is really going that route, there will definitely be the punchline present and the moment when every single facades come crashing down, leaving us with pure romance. There may actually be emerging drama, who knows? As of this post, Gamers! has nine episodes out and for me it definitely ranks up very high in my romantic COMEDY ladder. Now I don’t actually have the moolah to cash out the light novels and all… damn it. Up until now I have only talked about things this anime ring nostalgia for me while not a single thing about relatability. That’s where I will probably make up another post for it. This post has definitely convinced me to watch this when the season is over. It did look like a boring light novel adaptation on the surface but this one actually looks decent. I like romcoms anyway but the fact that you seemed to know so much about the light novels instantly makes it look a lot better. I get a lot of blank faces whenever I talk about anime with someone because none of my friends know nearly as much as I do and look down on anime. Needless to say I’ve not told them I’m an anime blogger. It’s a sad fate knowing more than anyone else but what can you do? Hope that Wow situation improves btw, I find it very hard to recommend people things. I’m quite glad that we are getting more and more light novel adaptations that are actually well done! Speaking of hard to recommend. Last night someone in my raid told me to watch Kakegurui. I know it’s popular and ‘good’ but that’s exactly my tiny bit of issue with these people. Majority of WoW players in this private server are just grown adults who enjoy ‘mature’ things. Little do they know that I want to watch things that make me feel young lol! Tell that person to watch Kaiji, it’s actually a good gambling show. We all have different tastes which are sometimes difficult to justify, I think it’s embarrassing as well in some cases. And those people with “mature” taste, probably would enjoy an anime you recommended anyway. Just as a guilty pleasure, they would never admit too it. But that’s just speculation. I’m glad to see that someone else enjoys this series because it is amazing! Love the awkward comedy that takes place and the characters are a lot of fun. For me the appeal is that I can relate to these characters with all of the self doubt and uncertainty that they have. It’s something that i have not overcome myself despite being well beyond my teenage years and I feel like I am laughing at myself a bit. To see someone poke a bit at that is certainly refreshing. Thanks for writing about this series! And I’m willing to bet that there are millions of others out there on the same boat, that’s why Gamers! gets a seal of approval from many rom com fans! Fantastic post. I agree that this show has managed to do some things very well and the gamer culture is one it is doing if not well, at least giving us a different perspective. Other than the game club members, the other characters all give us different and more ‘natural’ views of what people who casually play games are like. No kidding! In one way or another, Chiaki’s game making moments are actually no different to being an aniblogger! That’s what it feels like to be a content creator. When there are people who genuinely sticks up for you, it’s only natural that you feel the same kind of respect to them. It’s just way too relatable, and I have yet to write about that part! Legends say that you still rush A..
No u rush b cyka blyat! This was a really interesting read. I have been enjoying this show, but a couple things you said really made me see that it’s doing more than I gave it credit for. The main thing is the genre gap you talked about. Yes, the MMO theme is horribly overdone at this point and I’m surprised I haven’t seen a MOBA anime yet. This show definitely fits a gap both in shows about gaming and as a romantic comedy as well. Much of what makes these characters admire each other is centered around gaming and while Tendou’s interest in Amano is a bit over the top and unrealistic, they show multiple times how his simple appreciation for the fun aspect of gaming really opens the others’ eyes. About romantic comedy anime in general, I also think this series had a bit of an uphill climb by being in that genre, but I don’t let genre influence quality for me anymore. I’ve really enjoyed several popular rom-coms like Ouran and Toradora!, and I thought Sakurasou was just incredible. The thing that I think Gamers! lacks compared to those shows is the character depth and ability to keep viewer investment around the main character/pairing. Honestly, Aguri feels like the more compelling character to me as of ep 9 when it should probably be Amano or Tendou. Maybe you’ll change my mind when you talk about the relatability. Looking forward to seeing that post from you! Actually I don’t think I’ll be able to change your mind as I’m in agreement with all of what you have said, haha!